Family, dear friends, and mentors come together to celebrate this indelible moment by “cloaking” the graduating class with long white coats; thus, symbolizing their transition from medical students to practicing physicians. In a 2013 survey of physicians, the results show that African American and Hispanic physicians were five and two times more likely, respectively, than majority physicians to practice in communities with high proportions of African Americans and Hispanic residents. Howard University College of Medicine serves a vital role in training physicians that will care for the most sick, vulnerable and under-served members of our society. 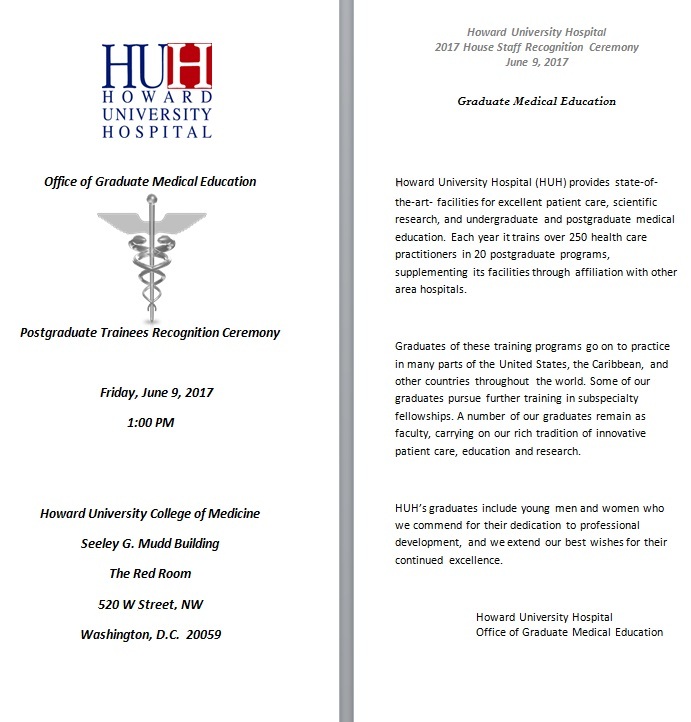 Watch the celebration of Our future physicians! !